If you prefer your electric vehicle travel subterranean, good news! The Boring Company has just about completed its first tunnel beneath the streets of Los Angeles, California, and may soon offer free rides of the demonstration system. What might this tunnel look like? Glad you asked! 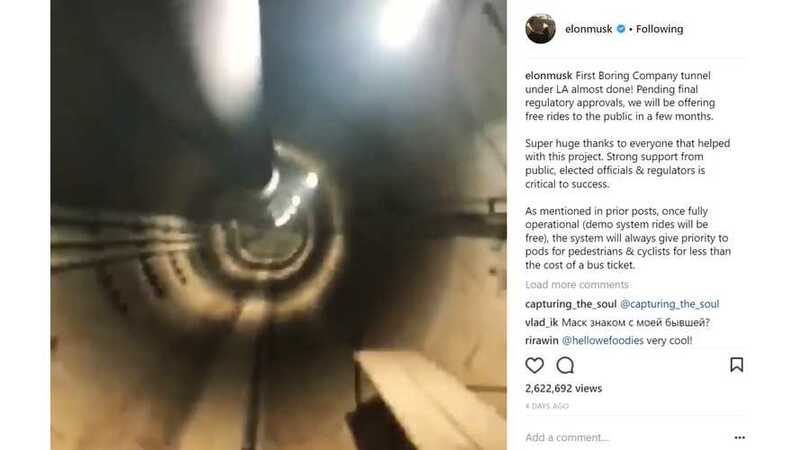 Company founder Elon Musk posted a short video of a portion of the tunnel on the weekend on Instagram, where it generated nearly half a million likes over a few days. There were thousands of comments within minutes. 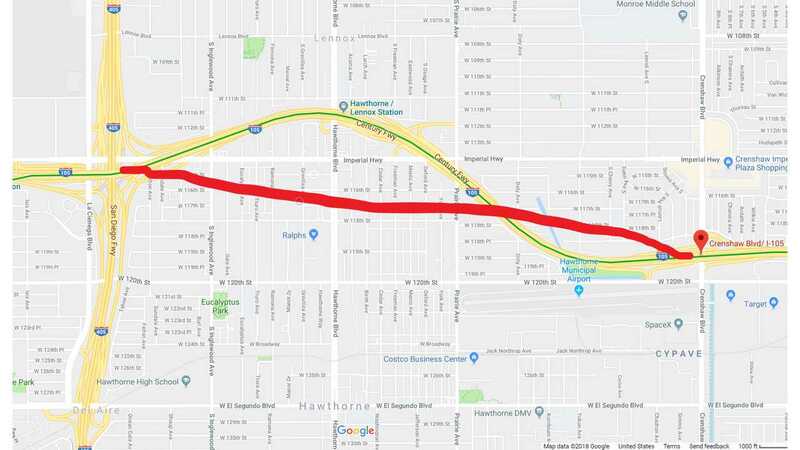 According to Musk, in response to an inquiry on the photo-centric social media platform, this first excavation runs from the I-105 and Crenshaw, to the I-105 and I-405. He also mentioned that, pending regulatory approval, they hope to build another demonstration tunnel along the I-405 "between 10 and Pico ." Asked whether the tunnel would "get reception," Musk replied that they intend to install gigabit Wi-Fi. Other questions included, "Earthquake proof?" (answer: "Built to world's most extreme seismic standards. Probably safest place in LA if there is a quake. "); "When can I come and get a ride?" (answer: "can do some limited rides/tours in about 6 weeks or so." The billionaire entrepreneur plans to eventually dig a number of tunnels beneath L.A., which will feature pods for pedestrians and cyclist, as well as move entire vehicles through the system. It also has an ambitious plan to tunnel between Washington DC and Baltimore, Maryland, a project for which it has already received some permits and begun the digging process.